I never got around to learning the built-in Google Maps application until today. Yeah, I know, I’m really late. I’ve been using MapQuest (by AOL) because of its turn-by-turn voice navigation. I always wondered why when I was driving around, the Maps would always be the wrong direction (I had to flip my iPhone around to get the correct direction). This problem was very frustrating to me, so I sought out to get the answer. 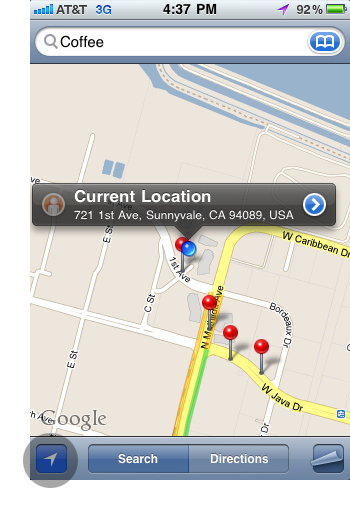 Why does Google maps turn around on my iPhone? 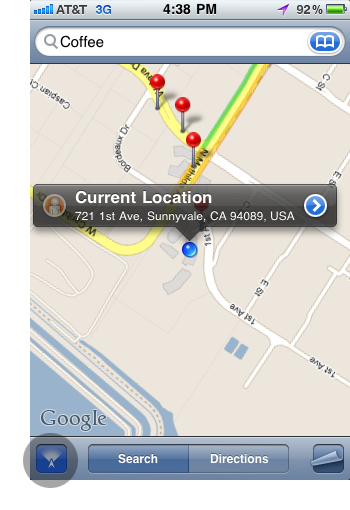 Why does Google maps face the wrong direction on my iPhone? 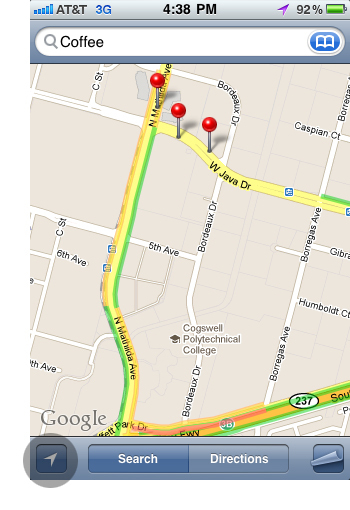 Is something wrong with my iPhone compass on my Google maps application? Why does Google maps show that I am going the opposite direction? When I launched the application I noticed the little arrow in the bottom left corner. I also noticed that it has three different modes when you click/touch it. This mode starts you off from your current location, but you can move around by two finger scrolling. While we’re on the subject – I noticed that the Google Maps application goes to sleep while I’m driving, forcing me to turn the iPhone back on so that I can view the screen again. 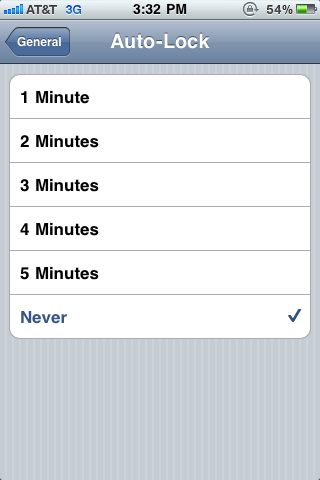 This is solved by turning your Auto-Lock setting to “Never”. Unfortunately, there is not a setting for this within the Maps application by itself. That is something Apple will need to update on their end. I thought it would be helpful to post something this basic for the people (like myself) that didn’t know about this feature. Next PostNext How do I get my photos and videos off my iPhone?